Joan Ranquet is an internationally renowned Animal Communicator and bestselling author of Communication with all Life, Revelations of an Animal Communicator published by Hay House. Joan conducts private sessions, teaches Animal Communication in Teleseminars, weekend workshops and is the founder of Communication with all Life University, a comprehensive certification program for Animal Communicators. She just released an e-book: “Animal Communication 101”. Her next book, “Energy Healing for Animals,” will be out Fall 2013, published by Sounds True. Joan has worked with thousands of individual pet owners, dog, cat and horse trainers, barn managers and vets. She troubleshoots behavioral and medical issues, helps stimulate healing in conjunction with conventional treatment, and facilitating clients to deepen their ability to care for and understand their animals. She is successful at finding lost dogs and cats, and often helps clients whose pets are aging and dying. Joan recently shot an episode of “48 Hours” for CBS and has had book reviews all over. Her University was featured in the Orlando Sentinel. Joan has been featured in dozens of media including Pet Nation on Dateline NBC, The Today Show on NBC, Good Morning America on ABC, Animal Planet, the National Enquirer, The Los Angeles Times, The Sun Sentinel, and The Palm Beach Post. She was the “celebrity animal communicator” in a short documentary on the AMC Channel. 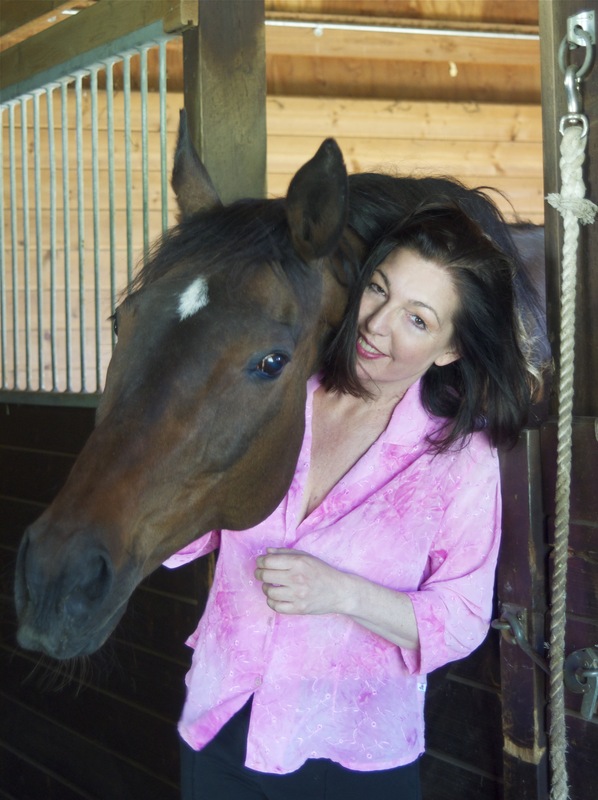 Joan has been the Animal Communicator and Pet Psychic for the leading websites and was a columnist with The Pet Planet and The Horse Connection magazine. Joan attended Stephens College in Columbia, Missouri where she received a BFA in Theatre. She has been working with animals for as long as she can remember. She lives with her horses, dogs and cats. Also check out wonderful vitamins, minerals and feed for all life: http://www.dynamitemarketing.com/joanranquet. Joan has been with Dynamite for over 12 years and stands by these products for horses, dogs, cats, humans, and more! For the best Omega 3’s for you and your animals: http://www.mymoxxor.com/joanranquet. I have just recently discovered your 2007 edition of Communication with All Life. In it you mention Dynamite feed for horses. Where do I find this on your site? Will you please recommend any other nutritional articles in past archives…… I deal mostly with cats and dogs. Thank you for being who you are, and I am letting as many of my friends with animal companions know about your web site. A new fan, Susie & Paws – Santa Rosa, CA. Hi Susie – there is a site for dynamite – http://www.dynamitemarketing.com/joanranquet. I’d love to help – so if you e-mail me at joanranquet@joanranquet.com – we can arrange to chat by phone. Thanks for spreading the word! !